Series 16. 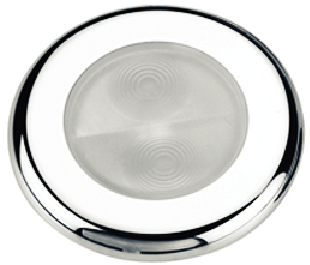 This 4-LED diode accent light provides as much light output as a conventional 12V incandescent bulb, consuming only 0.8 amps of power and drawing at least 10 times less power than incandescents. Low heat makes them safer for enclosed areas. 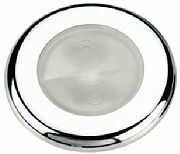 Perfect for accent lighting and as a courtesy light for steps and walkways. Extreme long life and resistant to vibration. requires 2" diameter hole for mounting. Mounts with three #6 screws (not included).